Born and raised in Vermont, I am a geek through and through. Technology is my passion, and has been since a very young age. Since my father got me started on an old DOS based computer, I have continually been fascinated by technology, always breaking things and then fixing them, experimenting with them. 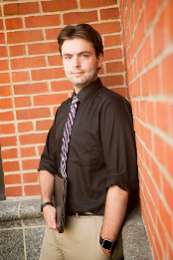 In order to connect with more local individuals in the technology field, I organize a local meetup group here in Rutland Vermont. VermontDev.org or on MeetUp.com, and it is open for anyone who is interested in technology and/or software development. Virus removal, general repairs, upgrades, or a tune up. Get help with your computer over the internet. Remote support through Screen Connect Software allows for you to receive remote support over the internet. ScreenConnect software allows our technician to remotely connect to your computer and provide support instantly over the internet. Simply call or e-mail, and start a session. If you're computer needs to be repaired, you can choose to have it repaired on-site, or to have your your computer picked up, and returned usually next day. If you need your computer back sooner, arrangement can be made for same day repair. Merkert Tech now offers a Lenovo ThinkPad T431s Ultrabook to borrow free of charge while your computer is being worked on. That way, you can keep working/playing, whether your computer will be a few hours, or a few days in the shop. Make your sites appealing, and functional! Compatible with the latest standards. 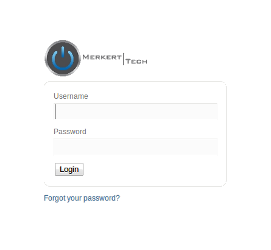 Let Merkert Tech bring your business online. Having a website allows you to provide information available to your customers, any time, and anywhere. We know that night-time exposure to blue light keeps people up late. We believe that f.lux adjusts colors in a way that greatly reduces the stimulating effects of blue light at night. It makes the color of your computer's display adapt to the time of day, warm at night and like sunlight during the day. If you are looking for a fast and secure browser, Chrome is the browser for you. 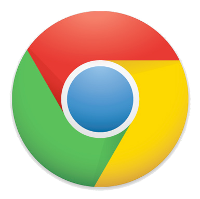 Google Chrome is based on the Open Source browser Chromium, but with added features. Google Chrome allows you to synchronize with a Google account, allowing your bookmarks to be saved, and accessed from other computers. For a Feature rich, fast, and secure browser, try Google Chrome. Libre Office is a popular Open Source Office Suite. Featuring a Word Processor, Spreadsheet, Presentation, and Drawing program, as well as a Database program, Open Office provides you with all of the programs you need for most of your office needs. If you need an free Office Suite, or would like to try to move away from Microsoft Office, give Libre Office a try!